Everyone needs a disclosure policy. By disclosing the purpose of your blog/website, you’re letting readers know more about the information that they will be reviewing. With DisclosurePolicy.org, it’s never been easier to create a disclosure policy for your site. If you’re a Real Estate Agent for example, you might create a policy to disclose your relationship to your Broker. How are you compensated for your blog? What about Advertising and content? Is your opinion on your blog influenced by compensation? 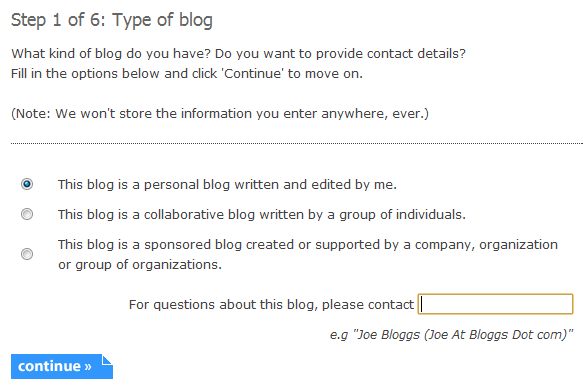 Conflicts of interest – in other words, is your blog influenced by any affiliations you have? The owner(s) of this blog would like to disclose the following existing relationships. These are companies, organizations or individuals that may have a significant impact on the content of this blog. We are employed by or consult with: Name of Real Estate Company. Link to it in either: a.) the footer of your website, b.) in your navigation (I’d create a sub-page and put it under your “About” page). Hope that helps, and happy blogging!